The Mad Catz ArmorStore Case for the Nintendo DSi provides convenient storage and protection for 3 DS Lite games and an extra stylus. The durable, impact-resistant polycarbonate case permits access to all buttons and ports of the DS Lite, allowing unhindered gameplay. 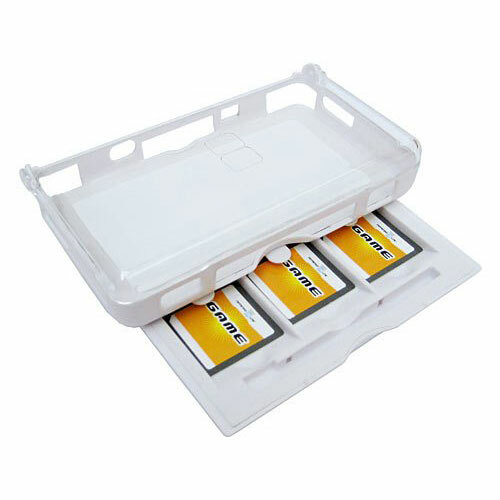 The easy-to-install design will have your DS Lite protected and ready for travel in a matter of minutes, making the ArmorStore Case the ideal game storage solution for the gamer on the go. Play-and-protect case allows access to all DS Lite buttons. Storage for 3 games & an extra stylus.